Interface animation is often misunderstood as just adding delight to interfaces. With the prominence of animation in iOS 8 and Google Material Design, animation is becoming recognized as a vital part of interface design. But this perception is not changing quickly enough. As designers, we must communicate the interaction and sell the value of it to other stakeholders so that it can be implemented. 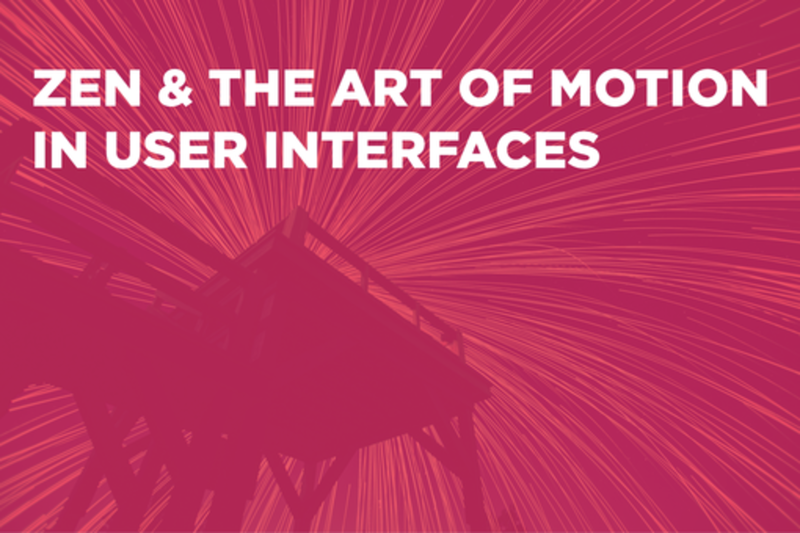 We explore the benefits of motion in user interfaces to truly elevate an experience. We show the latest methods of creating and sharing UI motion with other stakeholders in a way that they can understand. Additionally, we discuss how to overcome the most common roadblocks to implementation. Mike Gadow is a senior interaction designer in the bursting-at-the-seams Fjord San Francisco studio where he translates user goals into elegant experiences. He is passionate about telling users’ stories to help clients build rewarding relationships with their customers, employees, and partners. In a past life, Mike led design teams creating interactive games and bonus features for clients such as Disney, Warner Bros., Hasbro, and Mattel. Outside of work, Mike enjoys cycling, snowboarding, and reading to his two year old daughter. Russell is a Senior Product Designer in Strategic Partnerships at Uber. With years of experience in service design and storyboarding for animation, Russell specializes in conceptualizing user journeys and service blueprints. Prior to Uber, Russell was a Service Designer at Fjord, a global design consultancy. Before agency life, he lead design at a successful healthcare education startup in San Francisco. He's also directed commercial projects for clients like Salesforce, Intuit, Adobe, and P&G. Outside of work, Russell coaches early stage startups, builds drones, and perfects his carnitas recipe. He studied philosophy at the University of Oregon and animation at the Art Institute of Portland.